Tile sets the standard for flooring. Innovo offers a variety of tiles from leading manufacturers to add timeless beauty to your home. Our lines from DalTile®, Shaw®and Mohawk® will brighten your home with long lasting elegance which can provide a seamless design throughout the home for both indoor and outdoor spaces in unlimited color and style selections that never go out of style. Tile has unlimited applications in a stylish home: tile flooring, backsplashes, countertops, mosaics, and wall tiles. Tile is low maintenance and easily cleaned with zero restrictions and will not damage from cleaning services. With an innate durability to resist decades of heavy traffic, quality tile is stainproof, scratchproof, waterproof and fire resistant. Tile is also environmentally friendly, with the lowest carbon footprint of any floor, green certified and completely free of any volatile organic compounds. With the right care and maintenance routine, your tile floors, walls, and countertops will look great and last for many years to come. Innovo offers the StepWise and FlexFit lines of tile from DalTile®, you get 50% more slip resistant tile for interior and exterior. StepWise provides tile with some of the best slip resistance in the industry resulting in more sure-footed safety. StepWise is easy to clean. The smooth surface won’t trap dirt and only requires a mild cleanser and water to look like new while allowing your tile to move seamlessly from the kitchen to the patio. Bring the luxury of the indoors to your outdoor living spaces. StepWise won’t wash off or wear away, even in high-traffic areas or commercial spaces. The DalTile® FlexFit Size Solutions Program gives you design freedom without impacting your budget. FlexFit uses one extra-large porcelain slab that can be cut into seven sizes, FlexFit provides total flexibility that boasts high impact benefits, including seamless design without limitations, reduced cost and installation time and the look of natural stone or concrete paired with the durability of porcelain. 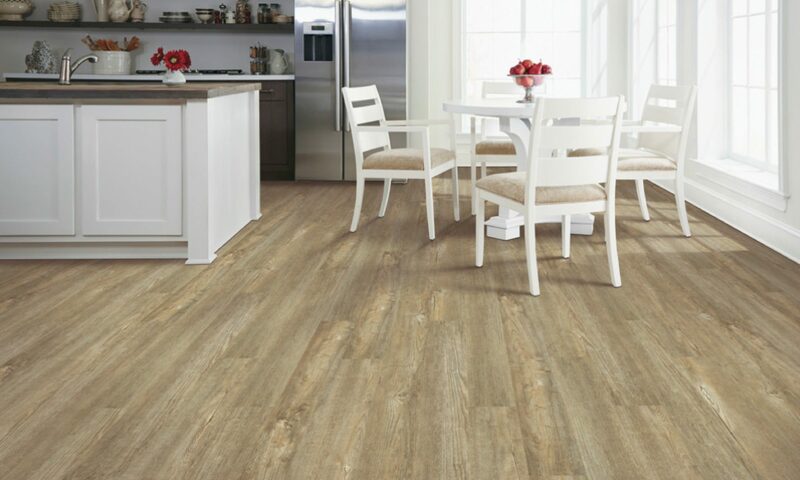 Mohawk® porcelain and ceramic tile for walls & flooring come in a wide selection of colors, textures, and sizes in rustic, refined, and casual looks. The benefits of ceramic tile flooring include its exquisite and sophisticated look, extreme durability, great versatility, easy maintenance, and safety. Porcelain is one of the hardest-working tile choices on the market. Its dense material is highly water resistant and withstands exposure to freezing and thawing. Ideal for kitchens and bathrooms, tile resists scratches, moisture, bacteria, and odors.